Orthotics Specialist - Fishers, IN & Anderson, IN: Lawrence E. Lloyd, DPM, FACFAS: Board Certified Podiatrist: Lloyd Podiatry Group, Inc.
Getting custom, prescription orthotics that are specifically made for your feet can improve issues with foot pain, knee pain, and even lower back pain. 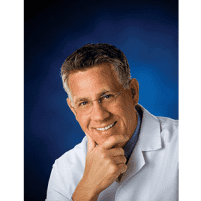 As a board-certified podiatrist who specializes in all disorders of the lower extremities, Lawrence E. Lloyd, DPM, FACFAS, of Lloyd Podiatry Group, Inc., can design personalized orthotics that are tailored to your specific condition. Learn more by booking a consultation at the Anderson or Fishers, Indiana, office locations. Schedule online or over the phone. Why do I need to wear orthotics? Supportive orthotic inserts are even ideal if you have arthritic conditions in your foot and ankle, including rheumatoid arthritis and gout. Alternatively, in some cases, orthotics are used as preventive measures to provide optimal support during training and sporting activities. Yes. Prescription orthotics, meaning inserts that are tailored to your feet, are designed specifically for you and you only. The issue with over-the-counter shoe inserts is that they have a one-size-fits-all approach. Those inserts you purchase from your grocery store or pharmacy might not give you the support you need for your specific condition and may even improperly cradle your feet and worsen your discomfort. When you opt for prescription orthotics from Lloyd Podiatry Group, Dr. Lloyd uses advanced technology to gather molds of your feet, so the lab can fabricate them. Your prescription orthotics are individually made for each of your feet. Dr. Lloyd even ensures they’re perfectly designed to support you and minimize issues with any pain-causing ailments you may have. What is the process of getting custom orthotics? At Lloyd Podiatry Group, you receive a comprehensive foot and ankle evaluation to determine how your prescription orthotics can best support you. Dr. Lloyd makes plaster molds of each of your feet right in the office. Your information is then forwarded to a specialized laboratory where your orthotics are fabricated. It can take up to a couple of weeks to get your orthotics back in the office. Once they arrive, the team at Lloyd Podiatry Group schedules you for a follow-up visit to try on your new prescription orthotics and to make sure they’re supporting you properly. If you’re ready to get fitted for custom orthotics, book an appointment at Lloyd Podiatry Group today. Click the online scheduler or call either office directly.